St. Martin's Press, 9780312626891, 327pp. Traditionally known as a dirty, congested, and dangerous city, 19th Century Paris, France was transformed in an extraordinary period from 1848 to 1870, when the government launched a huge campaign to build streets, squares, parks, churches, and public buildings. The Louvre Palace was expanded, Notre-Dame Cathedral was restored and the French masterpiece of the Second Empire, the "Opera Garnier," was built. A very large part of what we see when we visit Paris today originates from this short span of twenty-two years. The vision for the new Nineteenth Century Paris belonged to Napoleon III, who had led a long and difficult climb to absolute power. But his plans faltered until he brought in a civil servant, Georges-Eugene Haussmann, to take charge of the implementation. Heedless of controversy, at tremendous cost, Haussmann pressed ahead with the giant undertaking until, in 1870, his political enemies brought him down, just months before the collapse of the whole regime brought about the end of an era. 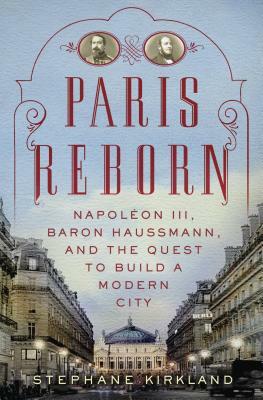 "Paris Reborn" is a must-read for anyone who ever wondered how Paris, the city universally admired as a standard of urban beauty, became what it is.